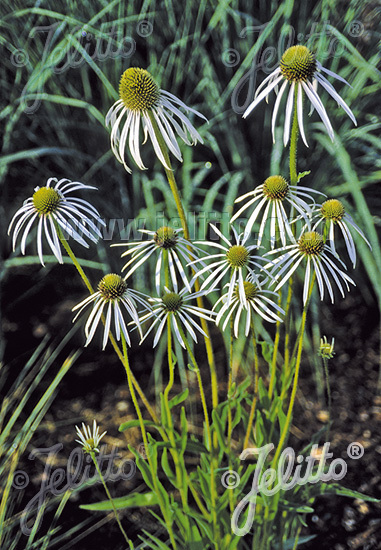 Special Features: Dramatically reflexed, very narrow white petals with a pink tinge. 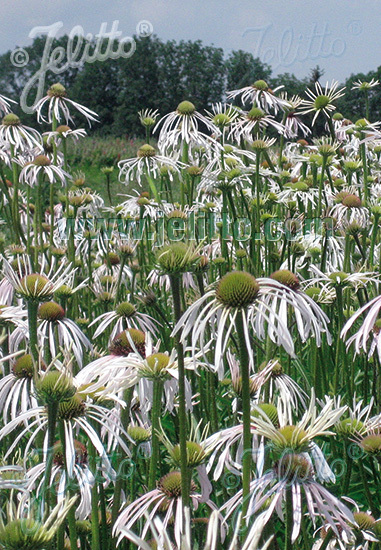 Only Echinacea species with white pollen. 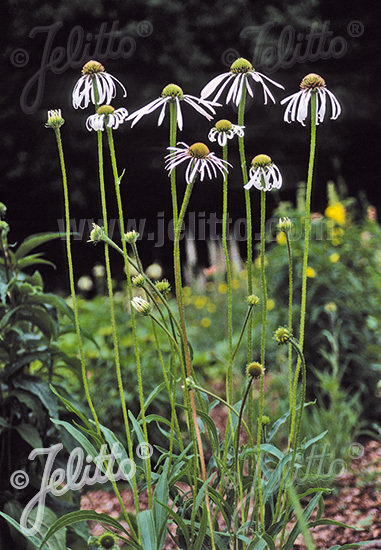 Slender upright stems - without branching. 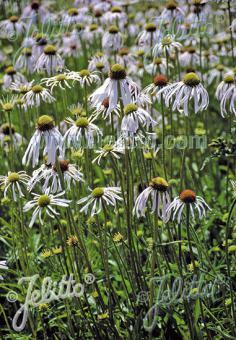 Cut flower candidate, deer and drought resistant, attract butterflies. 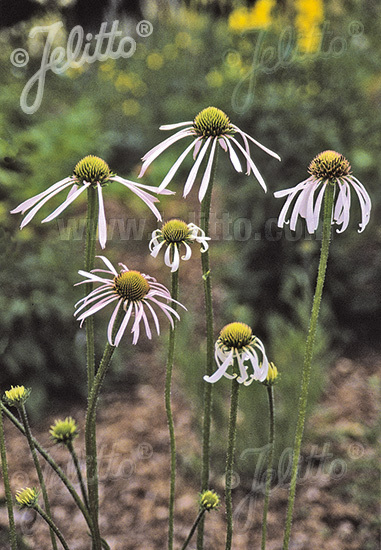 Historical: Introduced by JELITTO PERENNIAL SEEDS in 2006.